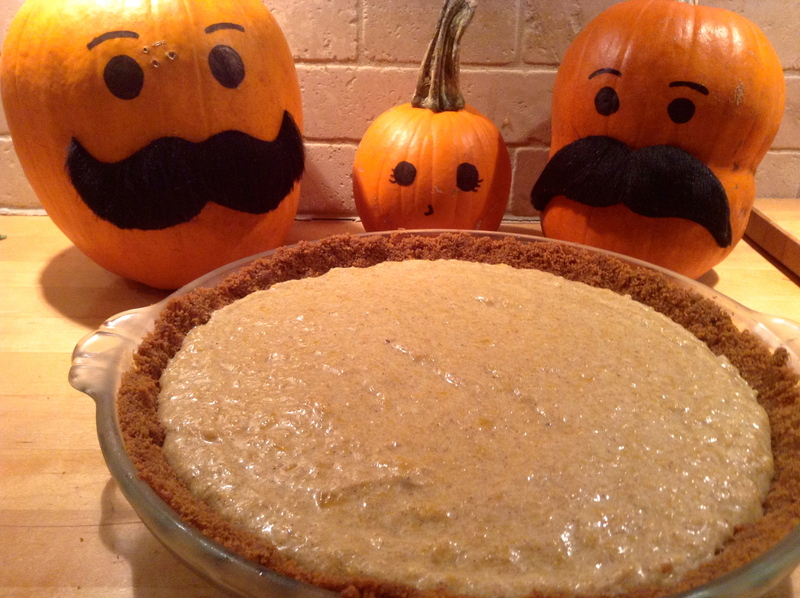 What beautiful pumpkins you and the girls grew and what a glorious pie! 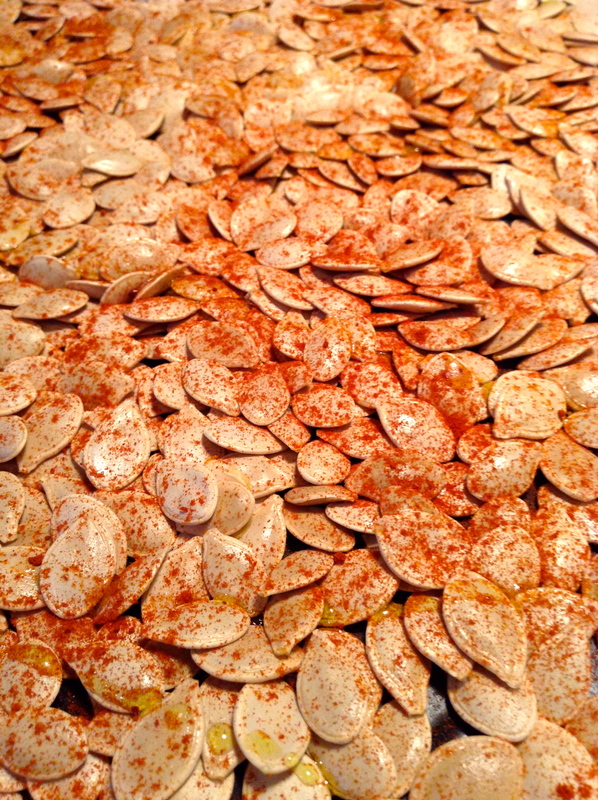 Those pumpkin seeds with the pimenton look wonderful also. Oh, the girls were truly excited about their pumpkins. And pimenton on anything is fabulous! 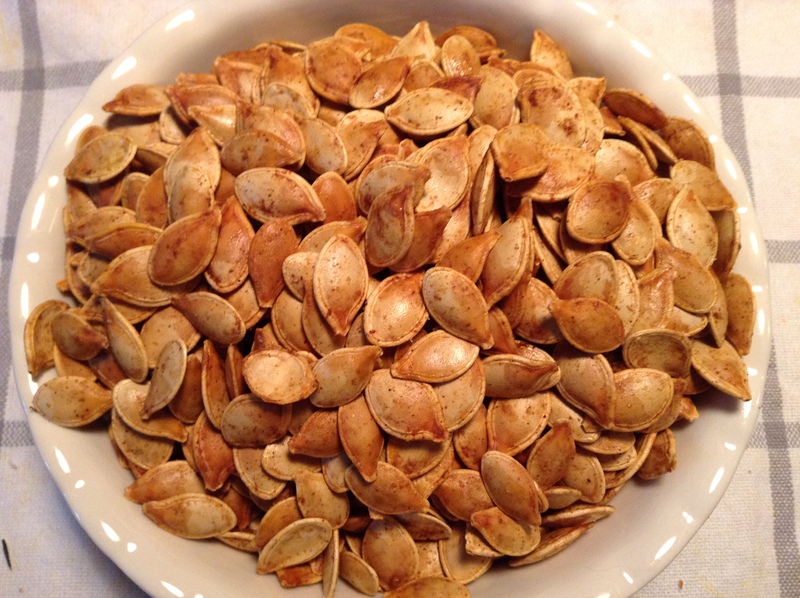 Pumpkin seeds are perfect for snacking on late at night when watching the telly. Thanks! 🙂 I think it helps children enjoy trying different foods when they grow them or are involved with the cooking and baking. Perfect autumn dessert! Looks so good! Yes, a real autumn sweet! I love that you grow vegetables with your girls. 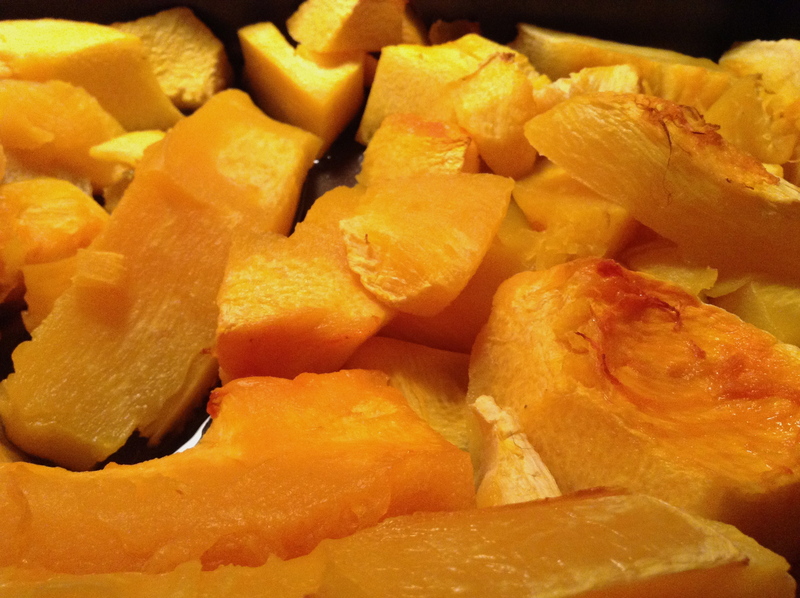 What a nice recipes can come out of a pumpkin. A pimentón hug! Hurrah to Emma & Charlotte! Especially cooking with your own harvest, makes any dish more pleasing. 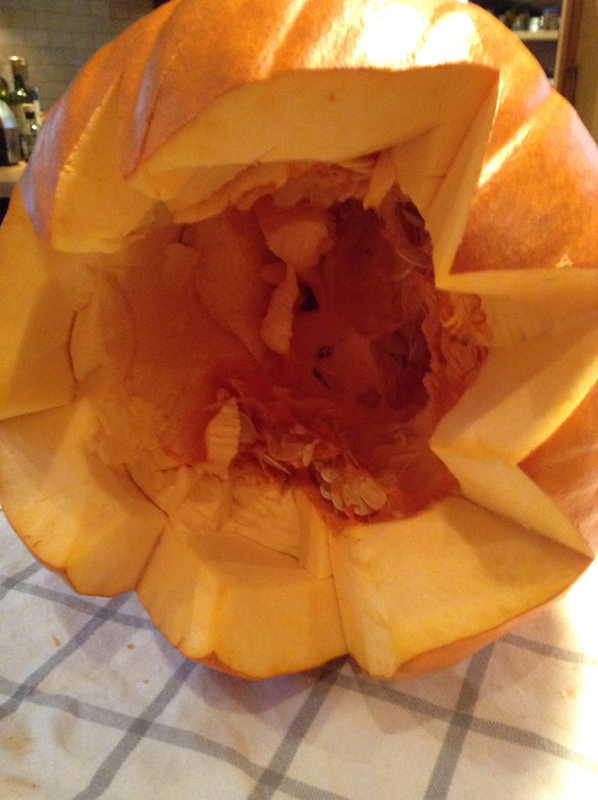 You did not let any part of the pumpkin go to waste either. You made the pie at the time US-Americans are baking their traditional pie for US-Thanksgiving. Oh yes Fae, we should give thanks all year long! And my girls enjoy their veggies much more when they come from their very own garden. Ooo, I love your creative crust! Also, now I really want to try some smoked paprika. 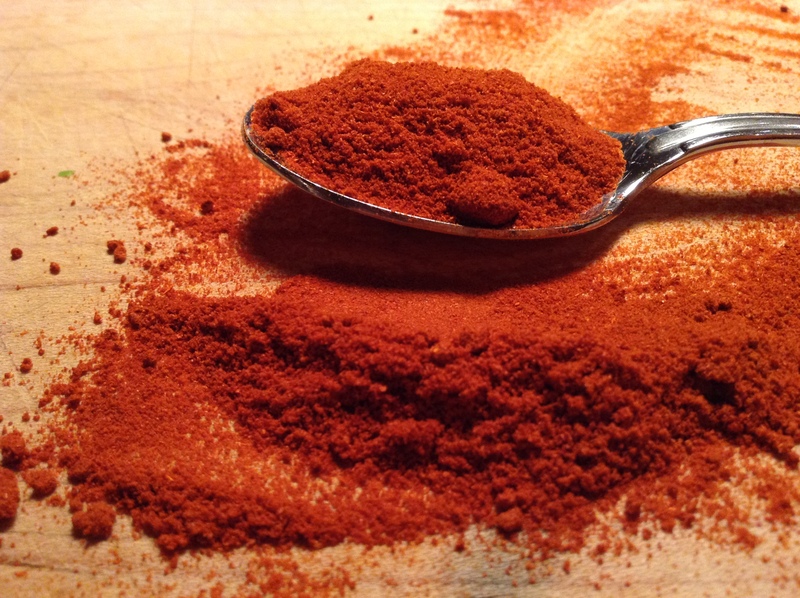 I’ve always felt that regular paprika is somewhat useless, other than for its vibrant colour. 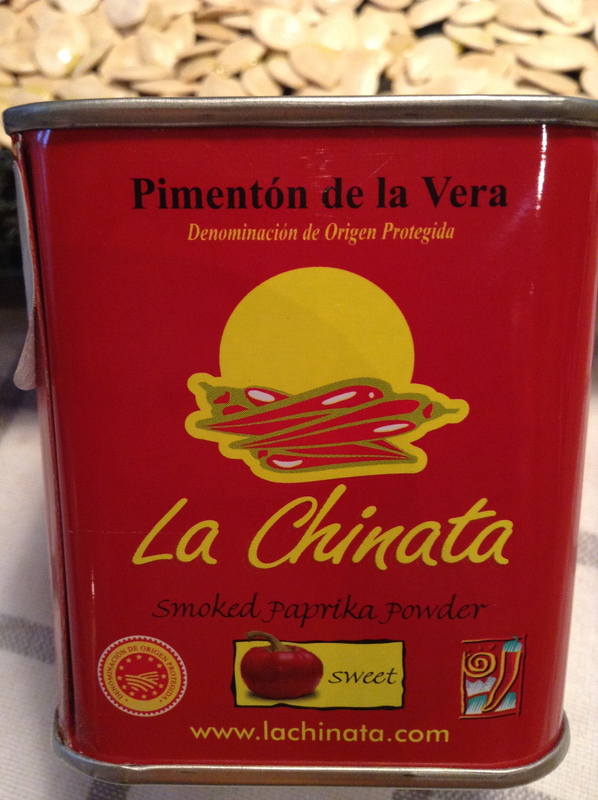 It sounds like the same is not true for this smoked paprika! I’m intrigued. Oh, you really should try it! It’s like night and day. True that paprika is really only good for it’s colour. And you should also try smoked paprika on your popcorn! That looks wonderful Lidia nice to have a change from graham crumbs. 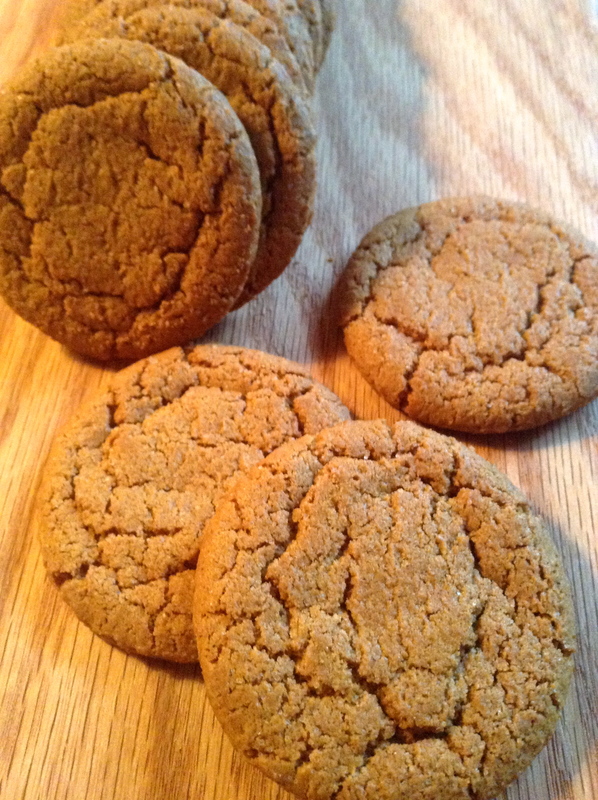 I love ginger anything. Growing pumpkins is so fun! Everything looks tasty! Growing pumpkins is lots of fun! I love all these seasonal Nth American recipes! Thanks for sharing these Lidia! 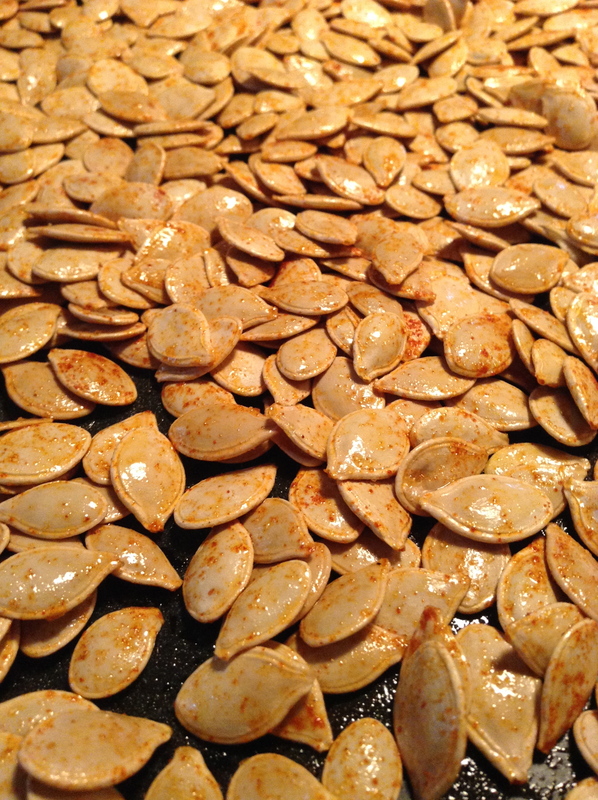 I’ve seen that same brand of Pimenton in specialty food stores over here – can’t wait to try your roasted pumpkin seeds! You should try the pimento on some popcorn with olive oil… yummy! Oh, thank you Ada! 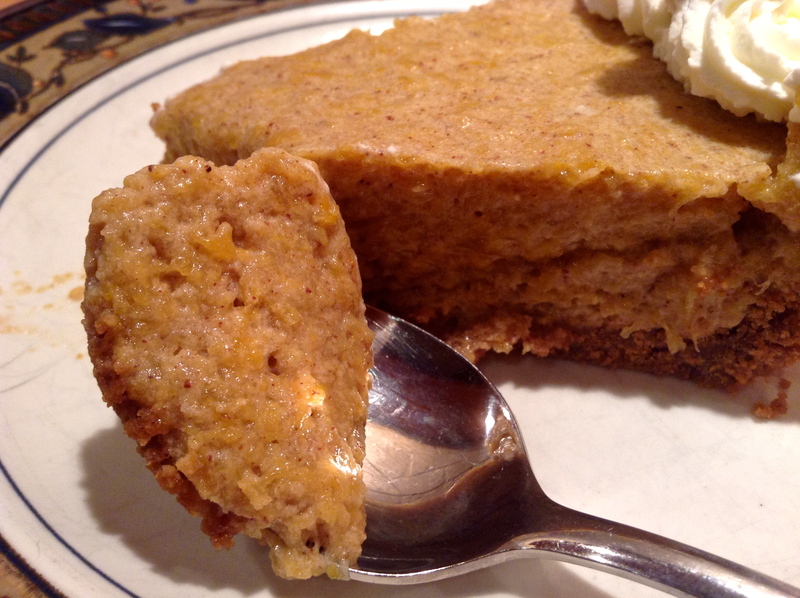 It really is a nice change to use a ginger crust, especially with pumpkin! 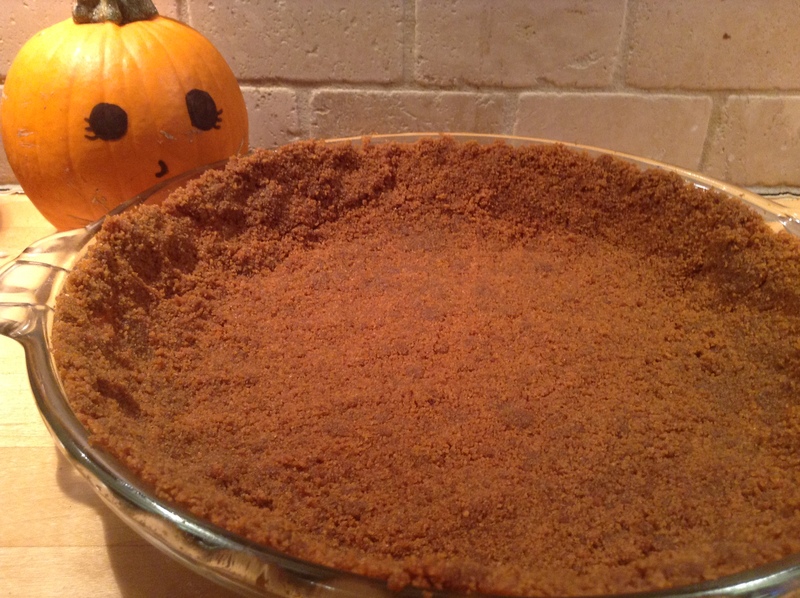 I agree Colleen, pumpkin in desserts is yummy! And how very sweet of you to nominate me for the Liebster Award! I am truly honoured! Scrolling down your page I oooh’d and aaaah’d a ton of times, always ready to write down a recipe! 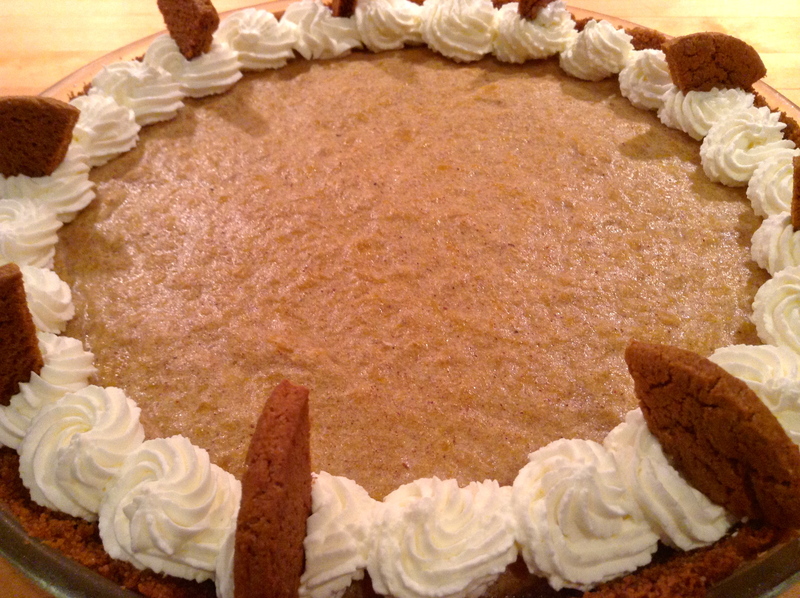 This pumpkin pie sounds amazing! Oh, thanks Pamela! I forgot to mention olive oil and pimento on popcorn… oh my! Yum! 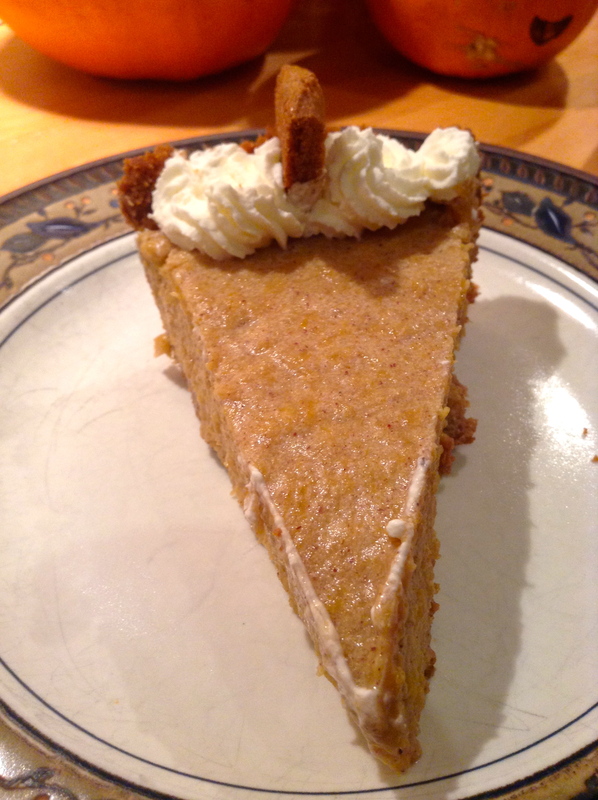 I’ve never had a pumpkin dessert, as they’re not too common over here. 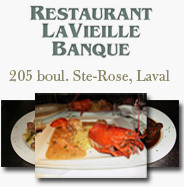 But that looks delicious! 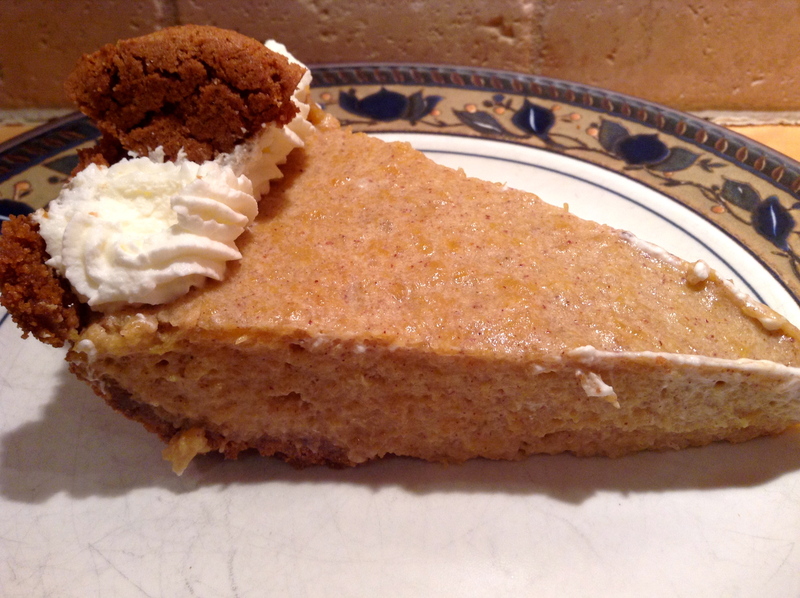 Oh Nell, you really must give pumpkin desserts a try. True yumminess! Yummy looking pie too I have yet to make one, maybe this week . HA! 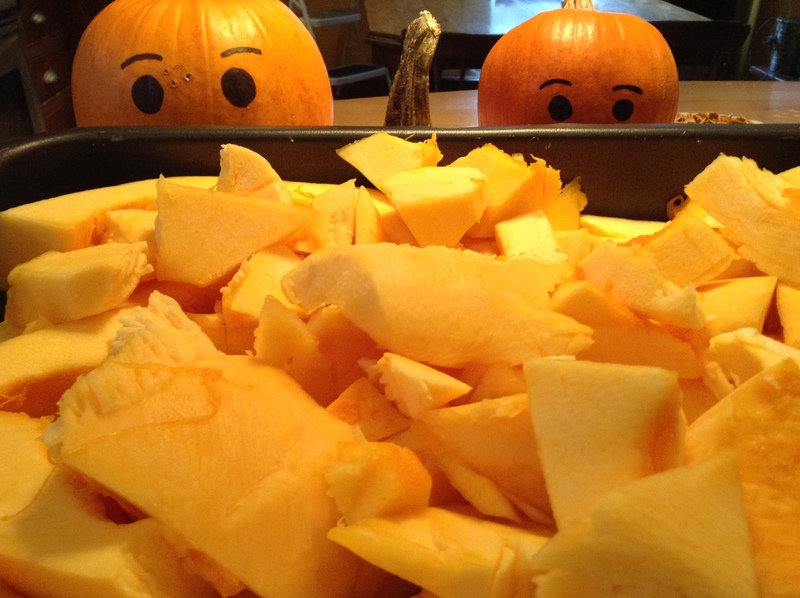 I think those little pumpkins have the look of fear in them, knowing what their fate is. You’re right though, they’re so cute that they’re still sitting on my kitchen counter, not having the heart to devour them! 🙂 I’ve made this pumpkin pie for people who don’t like pumpkin pie and they loved it. And it’s the easiest pie ever! Hope you enjoy. 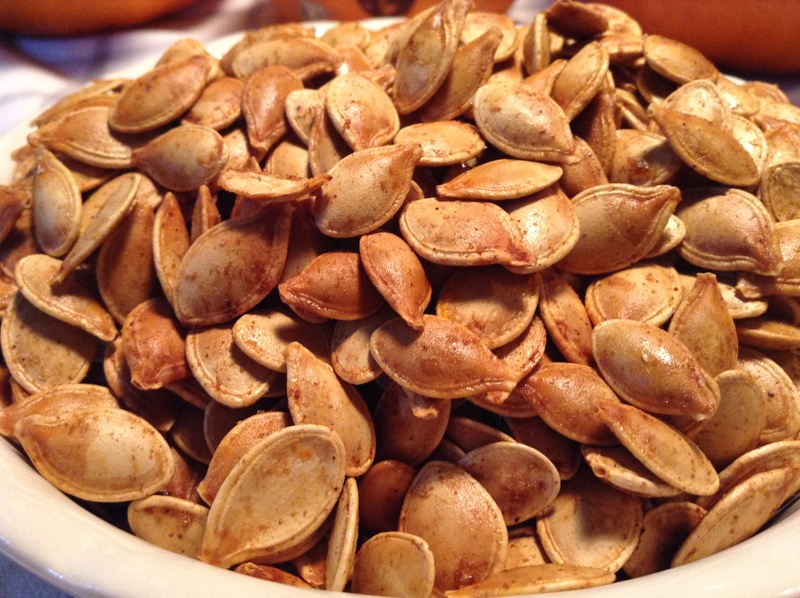 I love pumpkin roasted pumpkin seeds, as do my daughters. You really should give this pie a try, it’s simple and it’s yummy! Thanks Bam! 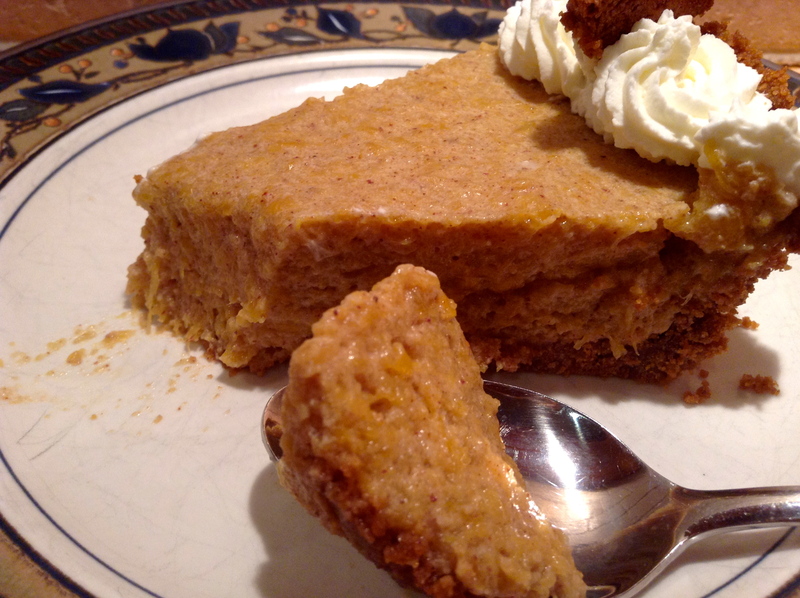 No bake, ginger and pumpkin? 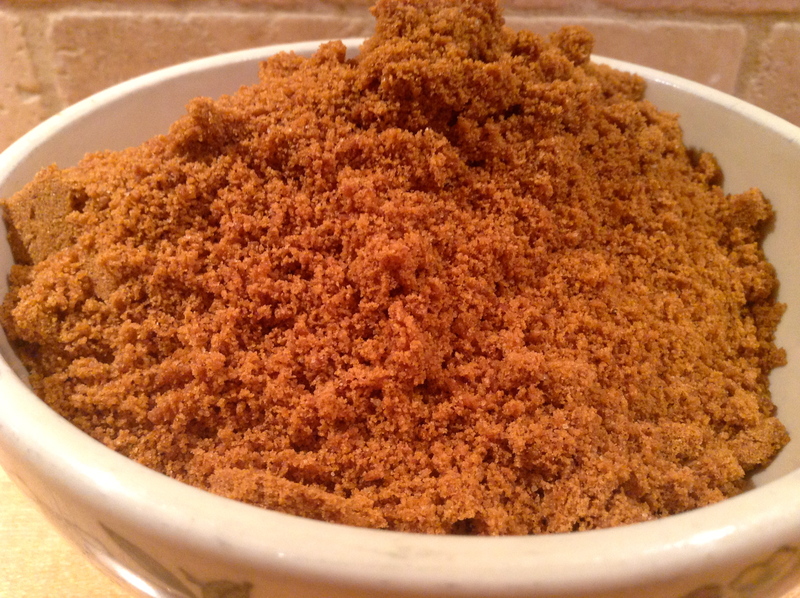 It’s like you are a magical fairy and just created the best recipe ever! Yum! I know right? How easy is that? Thanks Pamela!